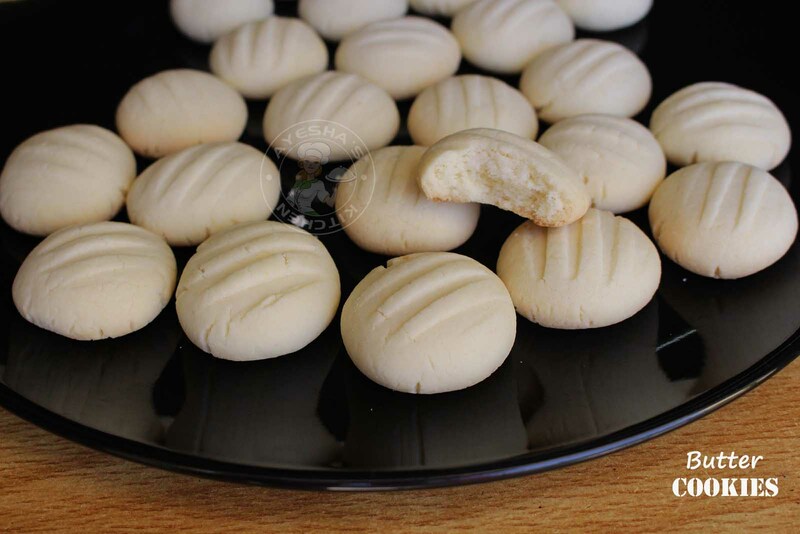 Butter cookies or butter biscuits are always kids favorite cookies consisting of butter, flour, and sugar. This cookie is crisp in texture. Here I am sharing a quick and simple buttery cookie recipe which is a perfect and no-fail recipe. 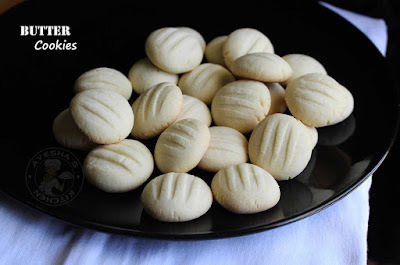 One of the easiest and best butter cookie recipe ever. You can make various shapes according to your wish. Here I made a simple pattern using a fork. 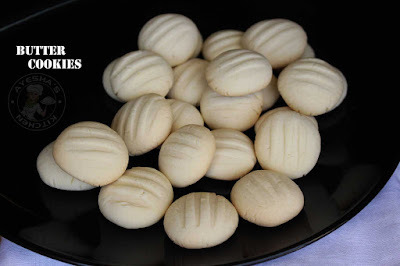 For those cookie lovers, this is a must try recipe and I do recommend this recipe for butter cookies strongly. Cookies are favorite for my kids especially butter cookies. But I always go for store bought because of my laziness. I used to make butter cookies even before my blogging life. Butter cookies were my first attempt at cookie baking and it turns out perfectly even in my first attempt. This buttery, melt in the mouth, sweet butter cookies are simply the best cookie which is eggless. 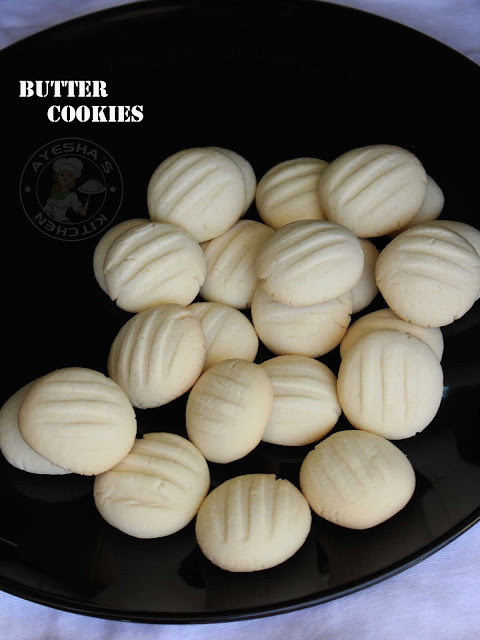 Do try this perfect butter cookies recipe at home.Here is the recipe showing how to make butter cookies at home/ butter cookies recipe/ butter biscuits /best butter cookies /butter cookies recipe easy /butter cookies ingredients /simple cookie recipes /cookie recipes easy. Into a bowl add salted butter ( at room temperature ). The butter must be soft, which is very important in this recipe. Whisk well until soft and creamy. To this, add powdered sugar/confectioners sugar through a strainer. Whisk well until well incorporated and creamy. Whisk well until well combined. It will look dry at this point but keep mixing until the butter absorbs all the dry ingredients. Once you reach dough consistency, stop beating. Hold the dough together, knead and then roll it out evenly. Cut into equal coin slices using a sharp knife. Now take one slice, roll into a ball, slightly flatten with your palm and repeat the same for the remaining cookie dough. Spread it on a baking tray which is lined with butter paper. Take a fork and just press slightly for a pattern (optional step). Bake at 160 degrees C for 15 minutes in a preheated oven. The cookies will appears to be a little bit brown at the edges when it is done. (it will be soft at this point but once cooled, you will get the perfect cookies). Once done, let it cool down completely.